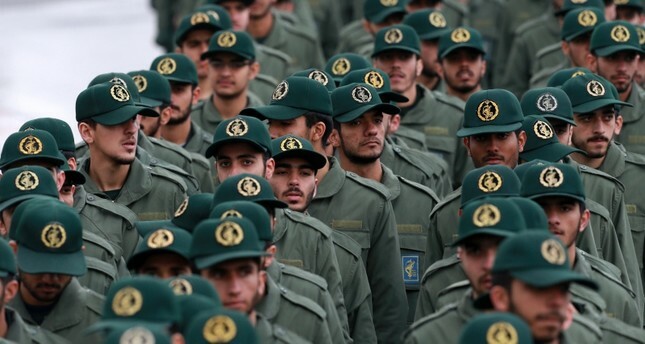 The United States designated Iran's elite Revolutionary Guard Corps a foreign terrorist organization, President Donald Trump said on Monday, marking the first time Washington has formally labeled another country's military a terrorist group. "It makes crystal clear the risks of conducting business with, or providing support to, the IRGC. If you are doing business with the IRGC, you will be bankrolling terrorism," the president said. Shorty after the announcement, Iran's top security council designated U.S. military forces a "terrorist organization" in reaction to Washington's blacklist decision. In a statement carried by the official news agency IRNA, the Supreme National Security Council slammed Washington's move as an "illegal and foolish act". Zarif blasted the U.S. move on Twitter, saying it was timed to support Israeli Prime Minister Benjamin Netanyahu ahead of Tuesday's parliamentary election in the Jewish state. Israeli Prime Minister Benjamin Netanyahu lauded the U.S. decision to designate Iran's Revolutionary Guards a terrorist organization, saying Trump had responded to a "request of mine." "Thank you, my dear friend, U.S. President Donald Trump, for having decided to declare Iran's Revolutionary Guards a terrorist organization," Netanyahu said in a statement a day ahead of Israeli elections in which he is seeking a fifth term. "Thank you for responding to another important request of mine, which serves the interests of our countries and countries of the region," he said. The department currently designates 60 groups, such as al-Qaida and Daesh and their various affiliates, Hezbollah and numerous militant Palestinian factions, as "foreign terrorist organizations." But none of them is a state-run military.